July | 2018 | Mike Lamberti, From Margate To Cleveland, And Back ! 40 years later, can the Belleville High football program start another run? Forty years later, the comparisons are noteworthy. 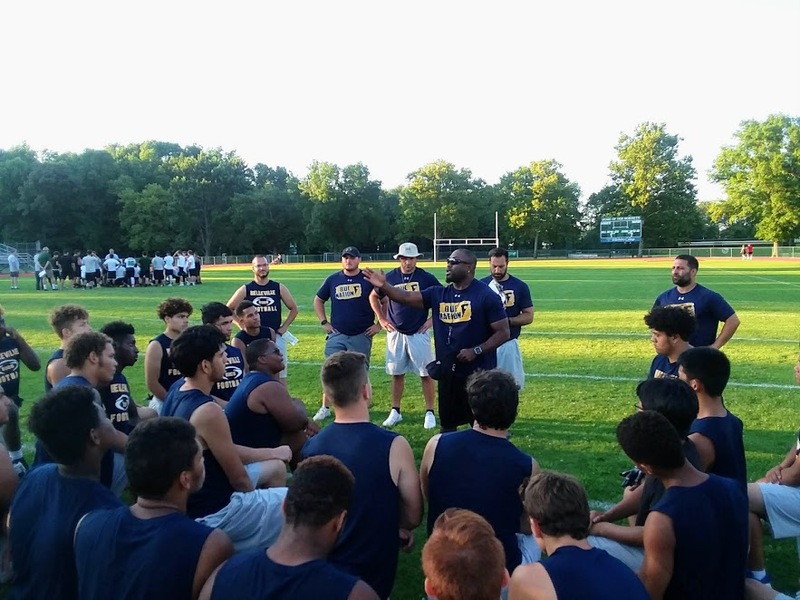 The Belleville High football team, circa 2018, is setting its sights on a new era and does so with a young and enthusiastic team, led by new head coach Jermain Johnson. Fans of the BHS football team know the program has struggled for the better part of a decade. The numbers speak volumes. From 1997-2018, a span of 22 seasons, Belleville’s overall record is 42-167. That’s an average record of 2-8, with seven different head coaches. The record includes three winless seasons and a losing streak which extended for three years, from 2002-2005. There was one bright spot during that span, when the Bucs put together back-to-back winning regular seasons, in 2007 and 2008. The ’07 squad also qualified for the NJSIAA playoffs for the first time in 23 years. Since 2011, the program is 12-58 and it’s been shut out 23 times. The team has lost 15 of its last 16 games. So with that said, you might wonder why the program’s real downfall goes back to 1997? That was first season in 20 years that John Senesky wasn’t the head coach, a by-product of a-then clueless Board of Education and school administration which felt Senesky had seen his better days on the job. After all, 10 winning seasons, four playoff berths and a rivalry record nine wins over Nutley wasn’t enough, right? But, let’s go forward, and as we do, a look back at 40 years ago is appropriate. In 1978, the new-look Bucs (that was the first year the moniker was used at BHS after a long run as Bellboys) were also looking to establish itself after eight somewhat mediocre seasons, during which the team was 30-39-3, with two high water records of 5-4, from 1970-1977. (Actually, that record, today, over eight years would be considered a success). Senesky was in his second season as head coach in ’78, having finished 2-6-1 a year earlier, including the infamous 63-0 loss to Seton Hall Prep in 1977. There was some excitement in 1978, especially after the Bucs won its season opener, defeating Livingston, 28-14. A year earlier, Livingston had beaten Belleville, 40-0. I’ve often said that the ’78 Bucs did lay the foundation for the glory years of the Blue and Gold program, which lasted from 1978-1986. During that nine-year run, there were eight winning seasons, four playoff berths and a 58-28 overall record. That was accomplished because of an outstanding feeder program, namely the Belleville Broncos, which dominated its opponents back then, and a coaching staff that remained intact, for the most part. And now, here we are, at a new crossroads for this program. I’ve been on record that there’s no future for high school football, in Belleville. I hope I’m wrong, but the ingredients for success haven’t been there for the last near quarter century. The feeder program is disorganized, to say the least, and Johnson is now the eighth different head coach since 1997. But let’s further examine the similarities between 1978 and 2018. Johnson is a knowledgeable guy, who seems to have already found a niche with his new players, similar to Senesky in ’77 and ’78. Johnson’s team played very well in a 7-on-7 at Passaic Valley last week. Johnson also understands the need to get the recreation program on board, and seems committed to that. The high school coaching staff is outstanding, with some former BHS players on board, as well as committed educators within the school, which is always vital to success. Johnson already knows that this year’s season opener, at home to Dickinson High, on the night of Sept. 7, will be very important. And yes, that’s comparable to playing Livingston back in 1978, which was also a night game, at home. That game propelled the Bucs to a 6-3 record, and the start of a great run at BHS. Will a win in this year’s season opener lead the way to success? The 2018 schedule is competitive, but not grueling. Unfortunately, just about every team in this area is no longer on the slate, because the Bucs couldn’t compete with any of them. And that includes Nutley, Bloomfield, Glen Ridge, Caldwell, Irvington and West Essex. Small steps must be taken. Stability in the coaching staff is a must, and the feeder program has to be addressed. If so, then maybe 2018 could be 1978 all over again. As July comes to an end, the Passaic Valley boys’ basketball team can look back at some good work in preparation for the 2018-2019 regular season. Head coach Jim Holsworth has seen his team play in a very competitive summer league at Bloomfield College. The team has also played well in a series of three one-day camps, at PV, with the last camp held last weekend. Last summer, PV also had an inexperienced team, but Holsworth noted the difference in a year. Passaic Valley head coach Jim Holsworth (center) with assistant coaches Dan Ring (left) and Zach Donovan. At last Saturday’s camp, PV entered three teams. The varsity squad was 2-1, defeating West Essex and Clifton while losing a close game to Weehawken. The Hornets also had a sub varsity and freshman squad play three games each. Angelo Rodolico, an incoming senior, was praised by Holsworth for his leadership and work ethic this summer. Brandon Timothy has also excelled and the Whitney brothers, Elliot, an incoming sophomore, and freshman Brian have stepped into varsity positions and played well. Holsworth also noted the play of Rashaun Rex and Justin Paguirigan. Passaic Valley will play in the Bloomfield College summer league through the end of July. In addition, PV will host a second basketball camp for boys, who will be in grades 3-9, starting on July 23 and lasting through July 26, at Passaic Valley High. Both gyms will be used for the four days. The camp begins at 9 a.m. and lasts until 3 p.m. Always one to be on the fringe of excitement and anticipation, when it comes to an upcoming football season, Passaic Valley head coach Chet Parlavecchio has certainly been busy this summer, and not just on the gridiron. 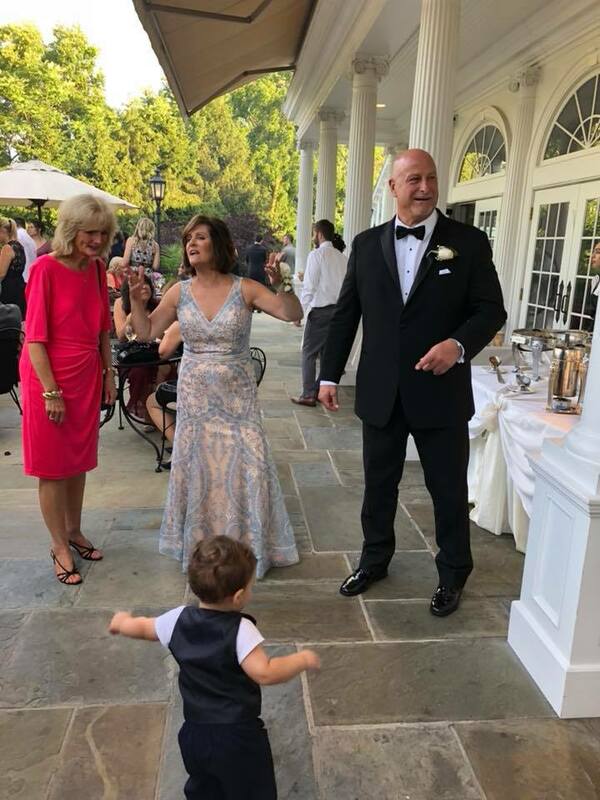 Parlavecchio’s daughter, Nicole, was married last weekend, so getting back to football was actually easy. Coaching football has been a part of Parlavecchio’s life since before his daughter was born. His first head coaching job came in 1987, at Bloomfield High, where he stayed for four seasons. He would move onto Irvington High in 1991 and 1992 and after a year as an assistant at Temple University in 1993, Chet was back in New Jersey high school football, leading Passaic Valley, from 1994-1998. During that tenure at PV, he guided the Hornets to a 37-12 mark and four straight appearances in the NJSIAA playoffs, including a state championship game at Giants Stadium, in 1996. Parlavecchio would move on to be head coach at Clifton from 1999-2003, leading the Mustangs to a playoff berth in ’03. After taking off the 2004 and 2005 seasons, to watch his son, Chet Jr., play high school ball, Parlavecchio’s next head coaching job was at Elizabeth, from 2006-2009, where he led the Minutemen to a state championship in 2006. 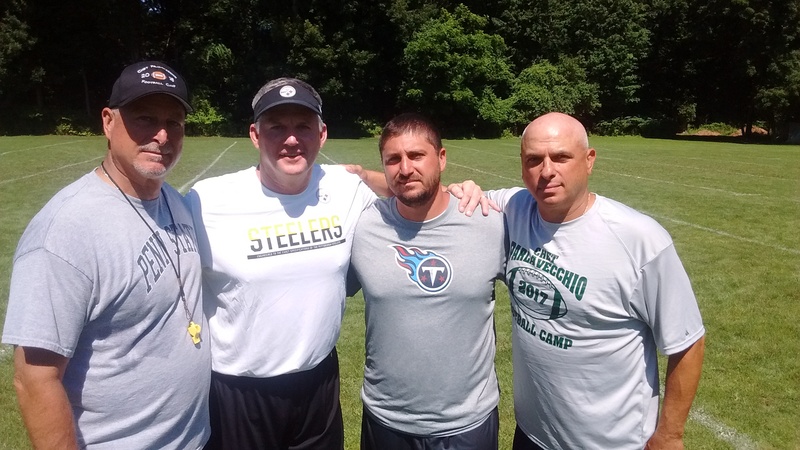 The NFL came calling next, as Parlavecchio’s close friend, Mike Munchak, a Pro Football Hall of Famer, was named head coach of the Tennessee Titans in 2011 and offered Chet an assistant’s position, which he held from 2011-2013. And then, in 2015, Parlavecchio was back at Passaic Valley for his second run as head coach. He’s beginning his fourth season at PV this fall. The past two seasons, the Hornets had winning seasons, including a 6-3 mark in 2017. Parlavecchio’s coaching staff has changed, notably as Al Cappello, Joe Benvenuti and Dennis Mikula, are no longer on staff. 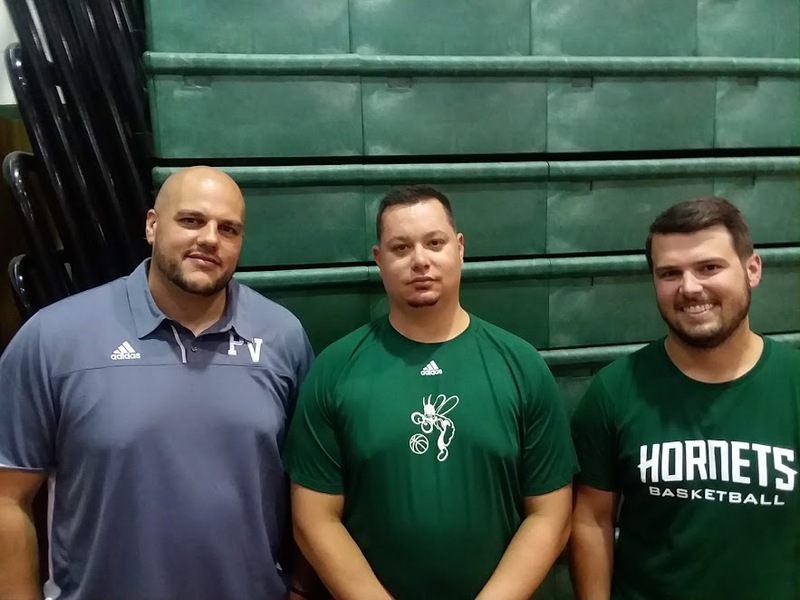 Benvenuti is the new athletic director at PV; Cappello, a one-time head coach at PV and former Hornet standout lineman, will be focusing on work projects, as well as the birth of a third son to he and his wife, Lynn; and Mikula has moved on to a new school. Joe Wassel and his brother Max Wassel, both former Hornets, return and will coach on the varsity. Lou Paradiso, Mike Gurst and George Hill are also back on staff this fall. Parlavecchio still has two open coaching positions on his staff, and is interested in speaking to prospective coaches who may want to join the PV staff this season. Parlavecchio had battled an illness last year, which wore him down, somewhat, and forced him to miss a game on the sidelines. This year, he’s feeling 100 percent. The Hornets will be busy in July with practicing, as well as some 7-on-7 scrimmages. The team begins regular practices, on or about Aug. 13. The first scrimmage, in pads, is set for Aug. 22, when Morristown visits, at 11 a.m. The next two scrimmages are also home, on Aug. 25, against Passaic, at 11 a.m. and the game scrimmage, on Aug. 31, opposite Notre Dame of Lawrenceville. The season opener is set for Sept. 8, with a 2 p.m. game, at home, against Lakeland. Road games follow at Delbarton and Wayne Valley, before a Sept. 29 home game, against Fair Lawn. 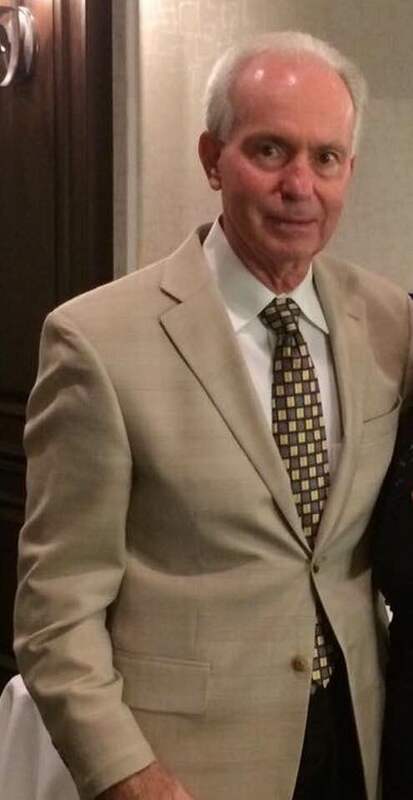 Former Belleville High football coach John Senesky recently celebrated a birthday. John and his wife, Carmela, are living in Florida and enjoying retirement. If you’ve read my articles for the better part of 40 years, then you know how much John has always meant to me, and more importantly, what he’s represented over the years to so many young people in Belleville, that are now middle aged. Jerry Ross, who played for Senesky in the early 1980’s, recalled a story during a practice one day, when an assistant coach wanted to go in one direction for a drill, but Senesky felt it important to do the drill a different way. Paul Scheuplein, who was a teammate of Ross, remembers a time when Senesky asked if Paul was okay. Men from ages 40-66 who played high school football for John, or had him as a teacher, like I did, continue to revere his integrity compassion and intellect. And we thank John Senesky for not only teaching us how to develop film, or do a silkscreen print, but more importantly the meaning of Faith, the importance of competition and how to handle oneself with class. 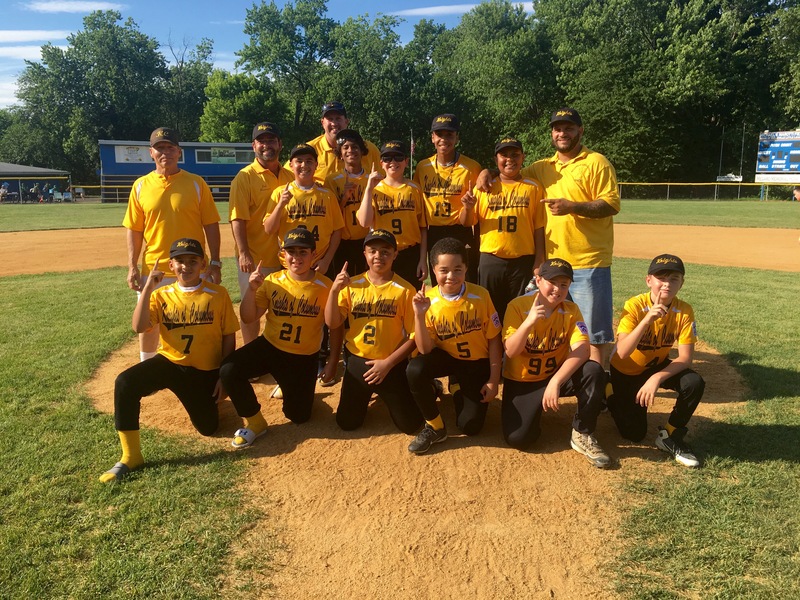 Congratulations to the Knights of Columbus, the 2018 Belleville Little League champions. The team, managed by Bob Abramson and coached by Mike Melendez, Steve Walsh and Ed Pilconis, swept the championship series with two exciting wins by scores of 11-9 and 3-2. Josh Abramson and Nathaniel Perez had big games for the Knights of Columbus. Coach Bob Abramson has done a tremendous job coaching in the town, according to Derek Lombardi. “Bob has been the manager for Knights of Columbus for over 10 years as well as serving on the board. He has devoted countless hours to Belleville Little League and is truly one of the good guys.